We are a roastery based in Oslo, Norway, established in 2005 by Robert William Thoresen, World Barista Champion of 2000. Our coffee is roasted in the nordic style to enhance the flavors of origin and variety. We are roasting coffee that is available and accessible to coffee lovers across all skill levels. KAFFA is for people. 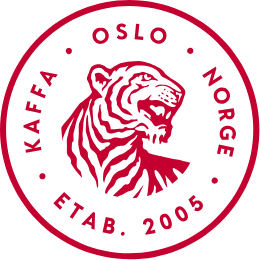 KAFFA Oslo work closely with all of our producers to contribute to a more sustainable coffee industry. We are very proud to be working with close friends such as La Palma y El Tucan, Longmiles Coffee Projects and San Vicente. Through our sister-company Collaborative Coffee Source we can ensure high quality and transparent trade. We love to see our coffees on shelves outside of Norway and are happy to offer shipping globally. The cost of shipping depends on weight, volume and destination. We use FedEx and TNT as our transport partner on International shipping. We charge our customers exactly the fee FedEx charges us per box we ship. Transport cost from Norway is a bit more expensive than from countries that are located within the EU because of higher tax. We roast every day and ship Wednesdays and Fridays. Please fill out our wholesale application form to become a whole sale customer. If you are not one of our wholesale customer you can get our products at KAFFAbutikk. KAFFAbutikk is the webshop and our partener in crime that makes sure you have the right gear to brew the perfect cup of coffee. KAFFAbutikk import and distribute glassware from the Japanese company Hario. The Iconic brewer Chemex and grinders from Baratza produced in the US. They offer all of our coffees and artisan chocolate from Cacao Hunters.